(Bloomberg) -- Sumitomo Mitsui Financial Group Inc. will become the largest shareholder in Mazda Motor Corp., the bank's chairman said. 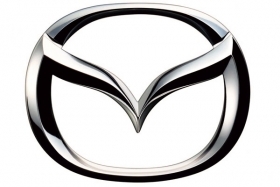 The company will become the leading shareholder in Mazda by the end of this year, Masayuki Oku, chairman of the Tokyo-based bank, said Monday. Sumitomo Mitsui Banking Co. currently owns 2.9 percent of Mazda, while Mitsui Sumitomo Insurance has a 2.6 percent stake, according to data compiled by Bloomberg. Ford Motor Co., Mazda's largest current shareholder, owns about 11 percent of the automaker and held a 33 percent stake until November 2008. Ford has reached a tentative agreement to reduce its holding further by selling shares to Sumitomo Mitsui, Sumitomo Corp. and suppliers of the Japanese automaker, Nikkei English News reported Oct. 16, without saying where it got the information. The Nikkei report about a change in the capital relationship between the two automakers is speculation, Mazda said in an Oct. 16 statement. Ken Haruki, a spokesman for the automaker, declined to comment further when contacted by Bloomberg News Monday. Sumitomo Mitsui's Oku said he expects the “spirit” of the carmakers' alliance to be unchanged. Ford owns more than 195 million Mazda shares, valued at about $515 million, based on last week's closing price in Tokyo. The second-largest U.S. automaker has signaled it intends to end developing cars and trucks jointly with Mazda. Ford's new Fiesta small car is based on the mechanical foundation of the Mazda2 subcompact. Ford's Fusion family sedan is based on the Mazda6 platform and its new Ranger pickup truck is built alongside its mechanical twin, the Mazda BT-50, at a factory in Thailand that the automakers jointly own.